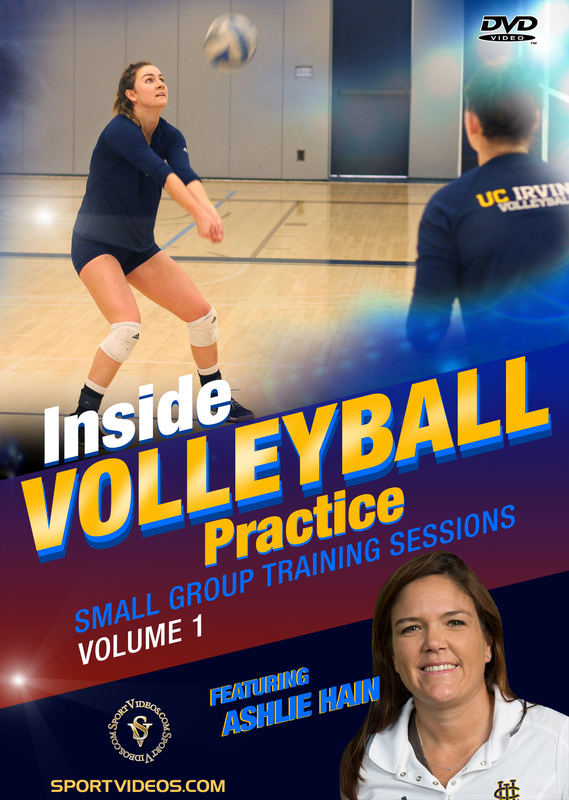 Get an inside look at a Division I college volleyball practice with University of California, Irvine Head Coach Ashlie Hain. This comprehensive practice session covers positional training with outsides, middles, liberos and setters. Among the numerous skills and drills covered are: middle blocker, hitting, blocking, transition, off blocker, over the net pepper games, defensive coverage, serve receive, setting and much more. This DVD is an exceptional resource for volleyball coaches or players at any level of competition. 102 minutes. 2017. About the coach: Ashlie Hain is the Head Women's Volleyball Coach at the University of Califonia Irvine (UCI). Hain, a two-time team captain and setter for the Anteaters, played at UCI from 2001-04 and is still the career leader in assists with 5,698 and is fifth in career digs (1,175). She returns to UCI after coaching at American River College (ARC) and serving as a Professor of Kinesiology. Hain amassed 127 wins in six years at ARC and was voted the Conference Coach of the Year as well as the Northern California Coach of the Year in 2013. Ashlie Hain also spent two years in the professional ranks, playing in in Stuttgart, Germany, and Split, Croatia.